PARIS, FRANCE -- CIRCOR Aerospace Products Group, a CIRCOR International company (NYSE: CIR), has appointed Michele Florsch as the Director of Human Resources for the CIRCOR Aerospace France group of businesses. Michele brings 20 years of experience in Human Resource leadership roles from the Building Industry in France, Germany and Eastern Europe. She will report to CIRCOR Aerospace France General Manager Gilles Genété. 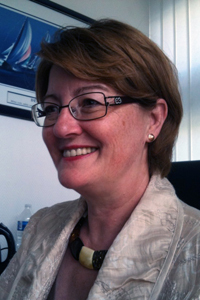 Michele joins CIRCOR from Meadwestvaco Group, where she was the Director of Human Resources France. Previously, she was the Human Resources Manager EUROPE at Saint-Gobain Abrasive in Paris (High Performance Materials Industry) and at Raab Karcher Baustoffe Gmbh in Frankfurt, the HR Director Group for Germany and East Europe in Building Materials Distribution. Michele has earned a Master’s Degree in Law from the Robert Schumann University in Strasbourg (France). She has also been published in the International Law Review, and is certified as an NLP Practitioner and NLP Masters in neurolinguistic programming. Michele will be based in Paris and is expected to travel extensively to the Chemillé and Pau, France and Tangier, Morocco facilities to ensure that CIRCOR goals of skills management, training, communication, and harmonization of management across the French sites are achieved. “Michele’s expertise from multi-billion dollar international companies will enhance CIRCOR’s global environment and will be a great addition to our team,” noted Gilles Genété.